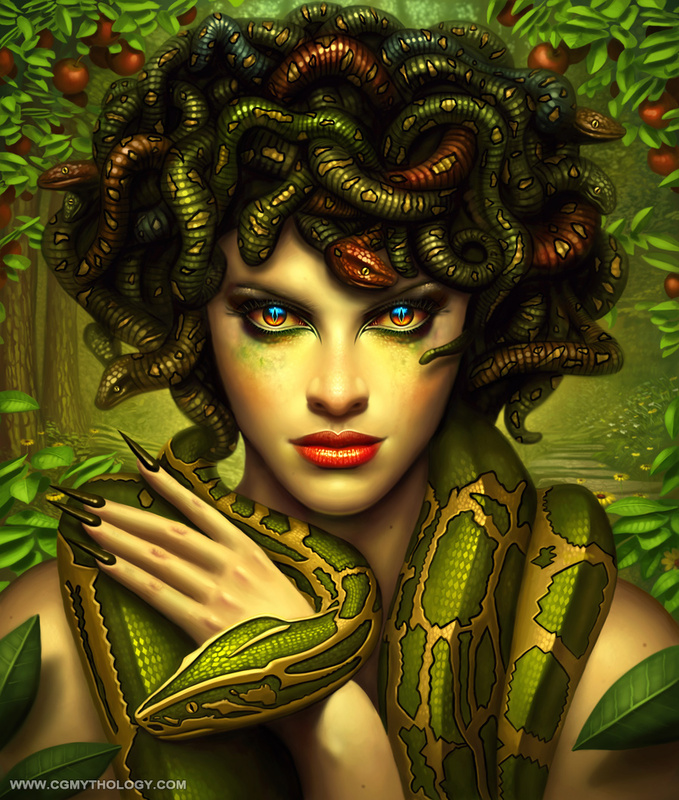 Portrait of Medusa. I really wanted to go all out on this one and give it 100%, playing up the details as much as possible. I also put a lot of effort into the environment, trying to achieve as much of a rich and luxurious feel as possible. The eyes were the most difficult element to paint, as I wanted them to really pop out and have a very unique feel; I ended up repainting them several times before I was finally satisfied with the results. Overall I'm quite pleased with this image, and I plan to illustrate many more paintings with the theme of Greek Mythology, which appeals to me greatly. The pose and design of the snake we're referenced as well.